These Fill-Ins are hosted by Ellen of 15 and Meowing and Ann of McGuffy’s Reader. Thank you ladies for this lovely opportunity to express ourselves. 1. Peace….. IS RELATIVE. IF, THERE IS NO FRICTION, THERE IS NO PROGRESS. WE NEED ILLNESSES, FIGHTS AND EVEN WARS TO FIND SOLUTIONS TO THESE PROBLEMS. WE DISCOVER HOW FORTUNATE WE REALLY ARE WHEN WE SEE HOW HARD LIFE CAN BE. FOOLED YOU, DIDN’T I? I THINK ABOUT THINGS VERY DEEPLY….EVEN IF I’M KNOWN AS A BIT OF A NIPHEAD. 2. I need to …..TELL EVERYONE IN THE FAMILY HOW VALUABLE THEY ARE TO ME AND HOW THEY HELP ME BE MYSELF….., but I keep procrastinating. 3. A friend is…..SOMEONE THAT STANDS BESIDE YOU NO MATTER WHAT. THEY MAY NOT AGREE WITH YOU BUT WILL TRY AND HELP YOU. THEY ASK NO QUESTIONS BUT ARE JUST THERE FOR YOU. 4. 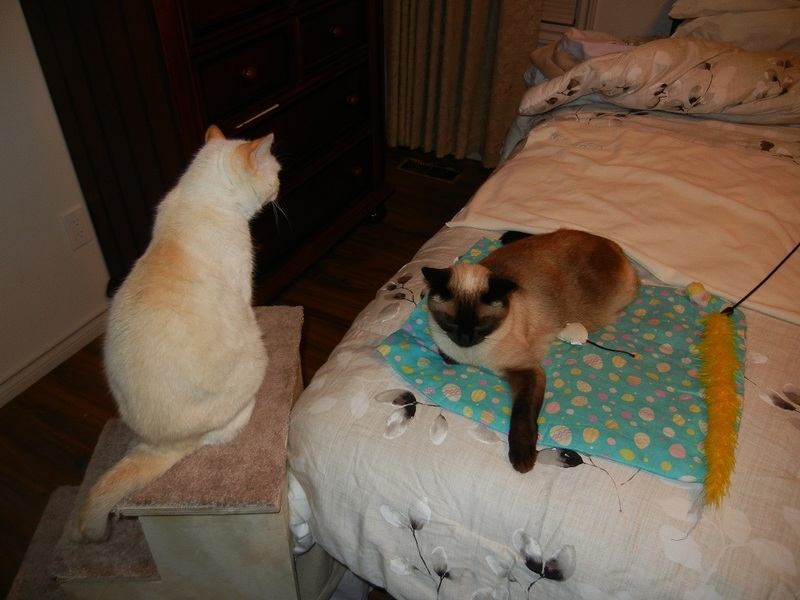 I try to…..BE A FRIEND FOR MOM AND KALI. KALI JUST NEEDS TO KNOW I AM THERE FOR HER. WHEN SHE’S HAVING TROUBLE WALKING, I TAP HER LEGS SO SHE’S AWARE I KNOW SHE’S HAVING PROBLEMS BUT I WILL BE WITH HER WHENEVER SHE NEEDS ME. 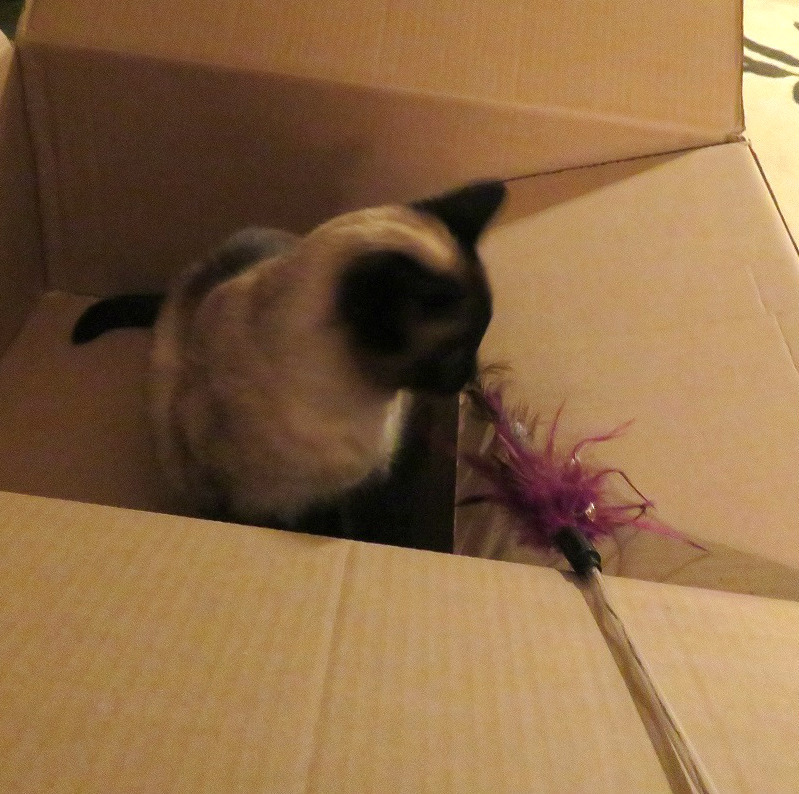 MOM JUST NEEDS ME TO BE ME AND PLAY WITH HER FEATHER WAND. May you be smart enough to know a tomato is a fruit and wise enough not to put it in a fruit salad. This entry was posted in Uncategorized and tagged family, FOOLED, hard, help, needs, niphead, questions, RELATIVE, salad, stands, tap, tomato, wand, WARS on November 4, 2016 by The Canadian Cats. Yep, we sure can Bacon. A friend will always care what happens to their bud. That’s how I feel about my *4 hooved and pawed compatriots. I’m your friend Easy and as such will help you dig your pool for next year. A little dirt on the paws never hurt anyone. WOW – what great fill-ins this week. I can tell you put a lot of thought into your answers Shoko. You are a deep thinker my friend and I love you for it! You’re right Sammy, I did put a fair bit of thought into my answers cause we all need to know somebody cares and understands us. I’m proud to call you friend. Amy, we will always be fur friends. If you need anything, we can help with, tell us and we’re there. If, we can’t do anything physically, we will be there with support. Thank, my friends. That goes both ways. Shokolino, you are a wise girl. You understand the most important things in life. The photos of you two are cute, you are playing together. Our friends mean a lot to us and we are proud to call you friends. I love your last quote! May you be smart enough to know a tomato is a fruit and wise enough not to put it in a fruit salad. 984 bazillion paws? Zowee, that would be a few bazillion anipals when one counts 4 paws per anipal. Math was never my strong suit. Although counting nip is a fun pastime. You may be a niphead, S, but the nip makes you see things clearly. I think you are sweet to support Kali when her legs feel poorly. You mean like LSD in the 60’s? Perhaps I do see clearer when the nip hits. I know if somebody could make me feel better just by being there…..I’d want a ton of visits by them. Like from you Cupcake. What great answers. Very thoughtful and nice. You’re such a good kitty, Shoko. Wow, Shoko. You really put a lot of thought into your fill ins. Very nice. Thanks guys. When I thought about it I realized just how much friends mean in such a chaotic world. They are priceless. This is the nicest you’ll see me for quite some time. hehe I’m getting mushy and that’s not good for my image. I think I’m slowly becoming more grown up and understand others may have some problems getting about. After watching Kali limp….I understand she is slower than me and needs to know someone is there for her. Your answers are very good and thoughtful. You are a kind kitty to help Kali when she needs it. Love your words of wisdom and you answers ARE pretty deep for this ‘vine head. hahaha…you would never do that Binky. Although a reminder never hurts.